Tonight..South winds around 10 knots. Bay and inland waters a light chop. A slight chance of Thunderstorms. Friday..Southwest winds around 15 knots then becoming west in the afternoon. Bay and inland waters a moderate chop. A chance of showers and a slight chance of Thunderstorms. 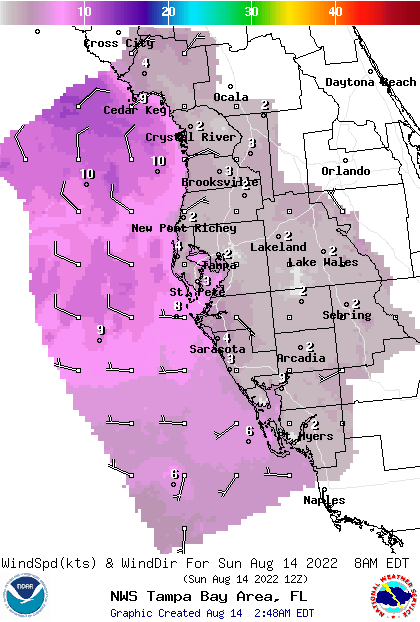 Saturday..Northeast winds around 10 knots then becoming northwest around 5 knots late in the afternoon. Bay and inland waters a light chop. Saturday night..North winds around 5 knots then becoming east around 10 knots after midnight. Bay and inland waters a light chop. 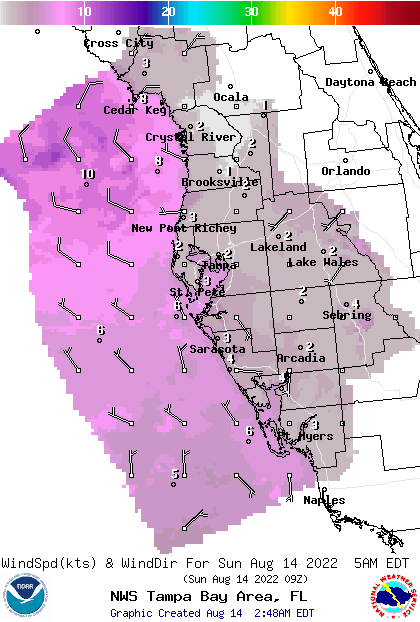 Sunday..Southeast winds around 10 knots then becoming west around 5 knots late in the afternoon. Bay and inland waters a light chop. 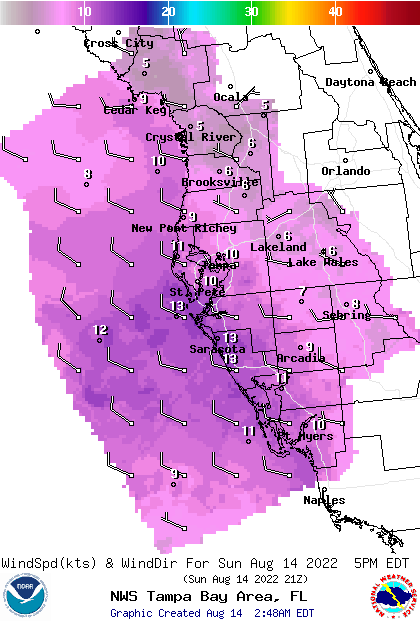 Sunday night..North winds around 5 knots then becoming east around 10 knots in the late evening and overnight. Bay and inland waters a light chop. Monday..East winds around 10 knots. Bay and inland waters a light chop.